If your roof looks like it could use some attention, then we can help. Despite what you might think, roofs do require maintenance on a periodic basis. Keeping on top of your roof maintenance will prolong the lifetime of your roof. In addition to this, roof maintenance and repairs will keep your roof looking good. However it is not always easy for you to get up on the roof and maintain it. In fact, doing so without the right equipment and experience can be dangerous. This is where the team at Strongguard can help. 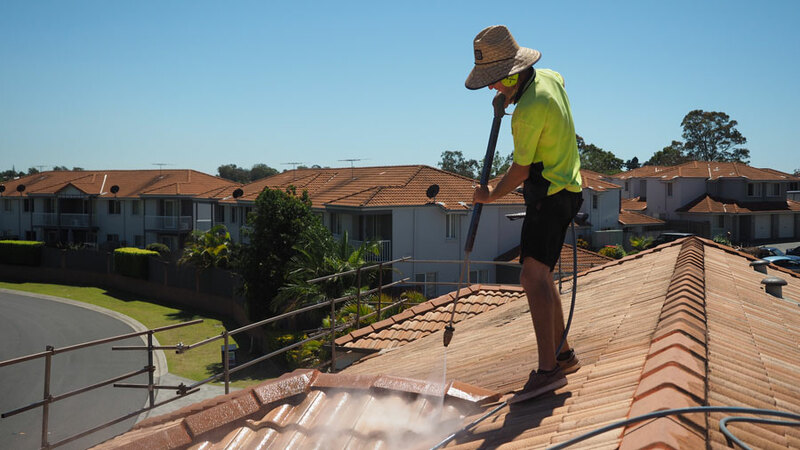 We specialise in all roof repairs and roof restoration services in Brisbane’s Northside. Our roof restoration services are aimed at helping all homeowners and business owners. We can restore your roof whether it is old and heavily damaged, or simply in need of some basic maintenance. Roof restoration essentially involves repairs, preparation and painting. That might sound simply enough, but it is absolutely vital that it is done correctly. At Strongguard, we have developed comprehensive roof repair processes. All of our work is backed by over twenty years of experience, so you are in safe hands. We work with you and take a problem solving approach to the repair and restoration of your roof. Our team of professionals will identify the source and cause of leaks in your roof. We will then work around your needs to repair them. It is critical to choose the right products for roof repair jobs. Because of this, we carefully assess the condition and design of your roof before beginning. We offer roof repair and restoration services for both tiled and metal roofs. Our team will help you with everything, from colour selection to tiling and more. When we restore a roof, we aim to not only return it to original condition, but also to improve it. Quality roof restoration is centred on attention to detail and thorough workmanship. That is why we have developed a roof restoration process. We aim to identify any issues and address them all systematically. This means that you get unmatched quality and consistency, every time. The first step of our roof repairs process is to identify and replace any damaged fittings components or materials on your roof. These commonly include tiles, capping, bedding, pointing and valleys. Most of these features exist on tiled roofs and it is vital that they are replaced or repaired as necessary. We use only the best products to replace damaged parts of your roof. Our aim is to make your roof stronger and more durable than ever with our repairs, so you can rest assured that you’re getting the best. Built up grime, mould and mildew often contributes to the deterioration of your roof. To remove this, you need specialised equipment and experience. Fortunately, this is our speciality. We have a purpose built high pressure cleaner that effectively and efficiently removes all imperfections. This machine jets water at pressures of over 3000psi. Such high pressure cuts through grime and mildew to leave the surface of your roof clean and ready for painting. Our team of experts perform this stage of the process with great attention to detail, so you know that nothing has been missed. Once the roof is clean, it is ready to be painted. The first coat is a mould and fungi inhibitor. Essentially, this inhibits any further mildew or mould from developing so that your roof is shiny for years to come. Following this, we apply a primer/sealer to provide good a substrate. Finally, we apply two colour coats of roof membrane. These coats are highly durable and protect the roof from wear and fade. Additionally, they will make your roof look better than ever before. To give your home a facelift with excellent roof restoration, contact Strongguard today. You can reach us online through our website, or you can call our office and speak to our friendly staff. We will happy run you through your roof restoration options and we welcome the opportunity to address any of your queries. #1 How long does your roof restoration process take? 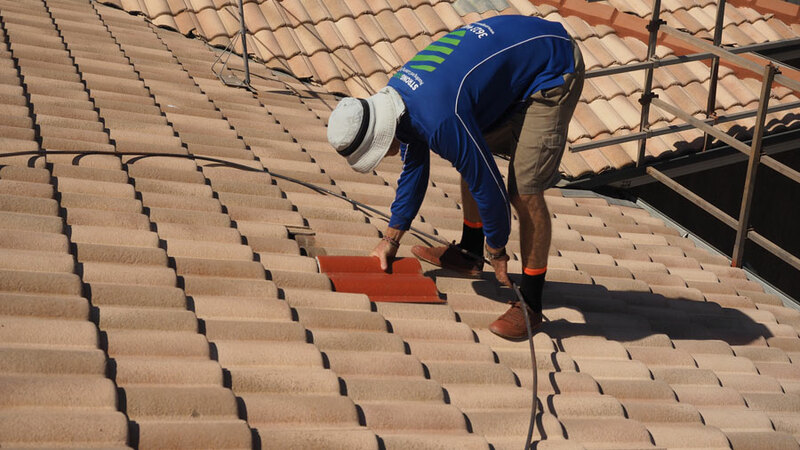 Our roof restoration process generally takes somewhere between 2- 4 days. Of course, the time necessary to complete the job depends on the size and nature of the repairs. For larger, more extensive repairs, we may need slightly longer. We have a team of estimators who will be able to give you a clearer picture of time before work commences. #2 How much does roof restoration cost? As with all jobs, the exact cost of your roof restoration depends on the size of the job. Typically, the price of roof repairs costs between $3,500 and $6,000. If you would like to know more about how much it will cost, get in touch with our team. Our estimators can arrange to inspect your site and draw up a quote for you. #3 How long will my roof restoration last? 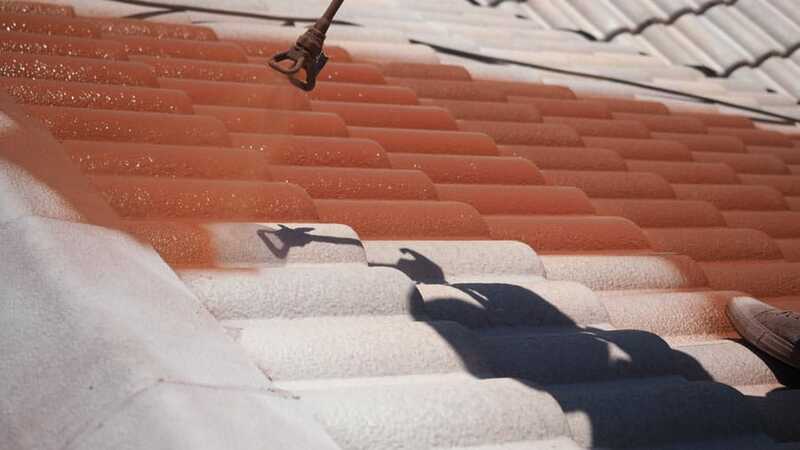 Roof restorations from Strongguard are guaranteed for ten years. However with the right maintenance, your roof is sure to last much longer. We usually anticipate that your roof will go 10-15 years before any further repairs are needed. #4 Do you clean the site once the job is finished? Our team will ensure that all rubbish is removed from your premises when the job is finished. We value our clients and endeavour to leave every site clean when we finish.